The smoking facilities inside the terminal are listed below. Electronic Cigarettes are also prohibited. General update from Mo M on the 18th Feb 2019 (use at your own risk): If you are in a non-smoking terminal you can take the transfer bus to Terminal 4. Have your original itinerary to show Term 4 security before you go through it. Plan on at least 1 hour to and from travel time (I came from Terminal 2) as the bus has to wait for all planes leaving Term 4 and the bus route is clear. 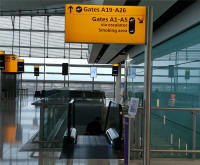 London Heathrow Terminal 2 doesn't have a smoking area anymore. Last update on the website says it does, but smoking signs are painted over and I checked if the booth is still there, but it isn't. So yet another terminal without smoking opportunity. Update from Sebastian L. on the 10th Feb 2019. The smoking area at London Heathrow Terminal 2 is closed at the moment. There is some work at the facade in progress. Update from Jan W. on the 10th Feb 2019. Just now in smoking area in terminal 2, air side. It's an outside cage. you need to follow for gate A18, photo below: Update from Michele C. on the 17th Jan 2019. 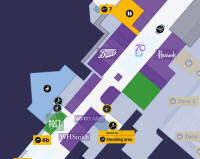 UPDATE: I can confirm that the smoking cage in the Heathrow Terminal 3 transit area has gone. Update from John s. on the 4th Feb 2019. UPDATE: LHR: Smoking area at T3 Bus stop obviously doesn't exist any longer. When I went there on 1st Sept 2018 I did not see any sign and staff told me this area was closed. Maybe somebody else can confirm. Feedback from Robert K on the 3rd Sept 2018. Jan 2019: The smoking area in Terminal 4 is still open. Just been there. Feedback from Frans. January 2018, Smoking section after security in Terminal 4 at Heathrow is still there... Feedback from Michael. No Smoking areas. Thanx to Darren Hilton for the information. 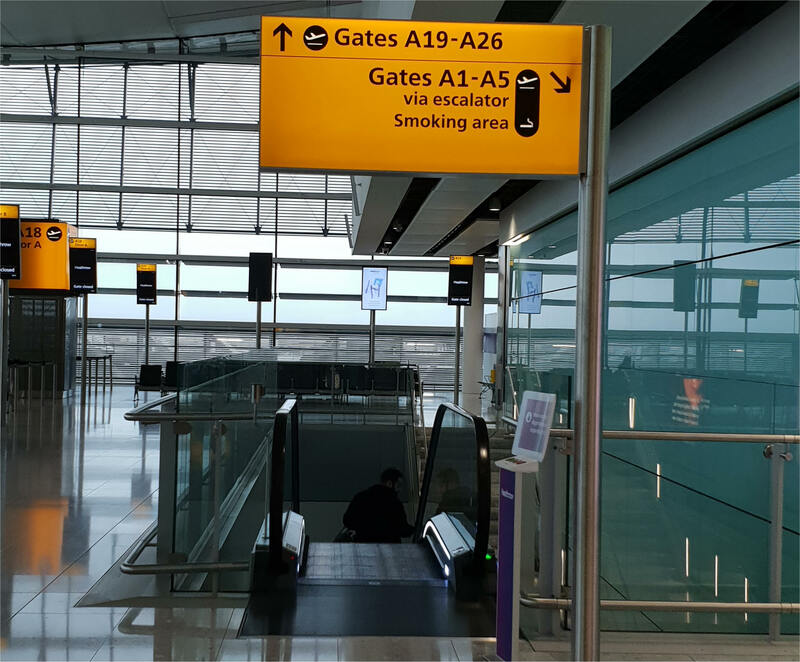 For connecting flights in terminals 2 and 5 you must enter UK and smoke outside terminal then go through Security again for your flight. Passengers are not permitted to use electronic cigarettes within the premises. Where you are intending to carry cigarettes in your hand luggage, please check with your airline to ensure they are allowed on board the aircraft.